Pennsylvania's Bedford "Fall Foliage Festival" Is Like No Other! At Bedford "Fall Foliage Festival"
Enjoy two weekends in October to attend the Bedford "Fall Foliage Festival". 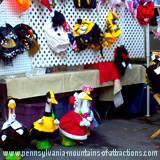 Anything you can imagine about PA Fall Festivals you'll find at this Pennsylvania Craft Show . 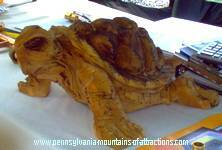 It's one of the biggest and most entertaining of all PA Festivals. With Fall Foliage at its peak in October the Pennsylvania Mountains turn into a show of its own. Can you think of any other place on earth that would make you feel more alive? You better make your arrangements early if you're coming to spend the weekend. Bedford, PA Hotels fill up quickly. All the tastes, smells and colors of Fall are available when you arrive at the Bedford "Fall Foliage Festival". 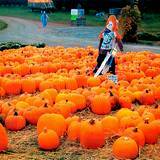 Enjoy pumpkin patches, apple cider, apple butter, candy apples, hot roasted nuts, and old fashioned sugar coated popcorn. See hundreds of traditionally styled Antique Quilts on display. You'll see Needlework unlike anything you'll see in any shopping mall. Buy one of a kind works of art for you bed or wall display. You'll see Pillows, Hand Knitted Mittens and Hats, and plenty of homemade Baby Quilts. 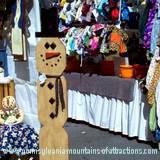 The list of crafts are endless, and so are the Vendors, Artists, and Entertainers. It's a Pennsylvania Craft Show that has grown so huge that vendors apply early in the year to get a booth. 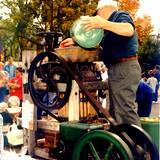 Over 400 craft booths line the streets at Bedford "Fall Foliage Festival". You'll be enchanted with Artistic Crafts and colorful Holiday Decorations. There will be live entertainment all 4 days of the PA Festival. You'll hear a mixture of music from Country, Blue Grass, and Motown. Within no time you'll be stomping your feet and singing along. Children love the interactive entertainment and will want to return again this year. "Middle Earth Studies" a play where the kids don't just watch the play they are the play! Saturday enjoy an Antique Car Parade starts at 2:00 PM. You'll not only enjoy the crafts and festivities you'll also find some of the most interesting little shops and restaurants in downtown Bedford. 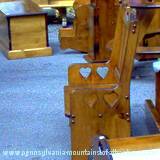 Just wait until you see the beautiful antique stores with priceless antiques that if you're not a collector yet, you will be. 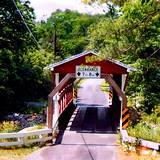 If you are spending time in the area and would like to visit other PA Attractions and Fall Festivals take a drive along the Lincoln Highway. The Flight 93 Memorial located in Shanksville, PA is only about 30 miles from Bedford, PA.
And if you're really in the mood to enjoy a weekend full of PA Fall Festivals you can visit Seven Springs Resort and enjoy their annual Autumnfest. It's a beautiful Fall Festival that is celebrated every weekend in October.